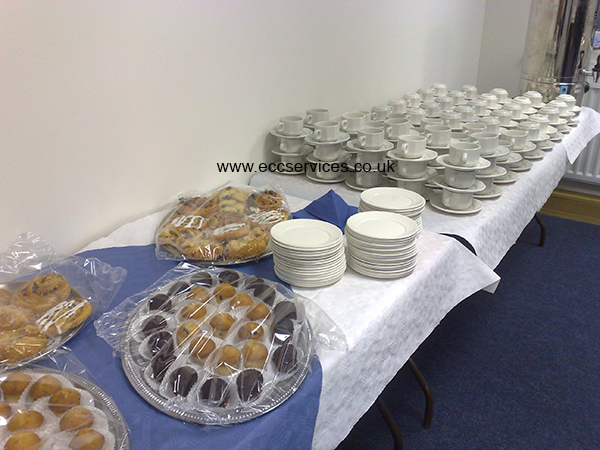 Our breakfast menus are very popular for early morning meetings, at this event we provided a range of breakfast options including tea and coffee for a traning day in Durham City. When ordering a breakfast we will take care of everything including setting up the tea and coffee so it is ready to use when guests arrive. All the food is sealed and ready to eat all you need to do is break open the packaging. 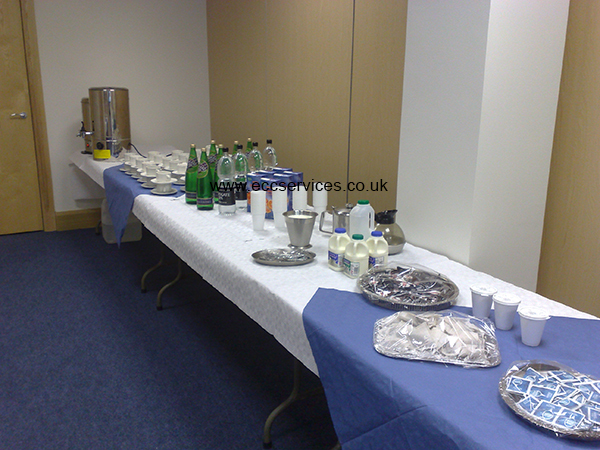 The tea and coffee comes as a complete package including milk, T-spoons, cups, saucers, coffee jug, tea pot, water boiler, milk jug and we even provide the water to fill the boiler. 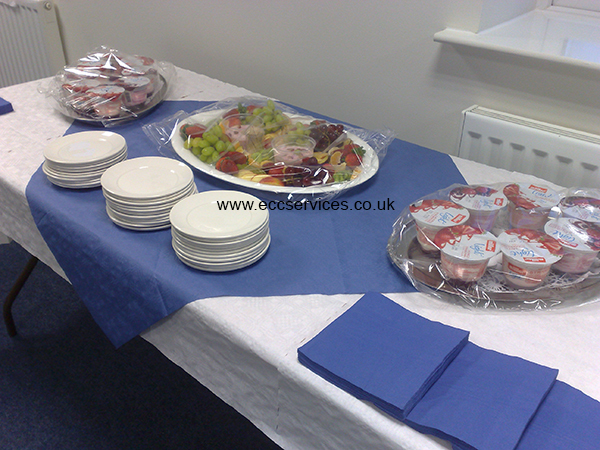 Our delivery driver will cover the table with a white table cloth and prepare everything for you. 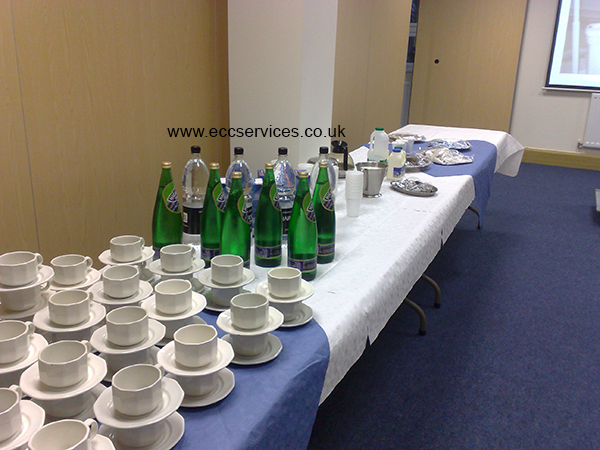 Mineral water and orange juice are supplied with plastic cups, if you require glasses please let us know when placing an order. If you would like to order from our breakfast menu please take a look at our breakfast page or give us a call we are more than happy to help.